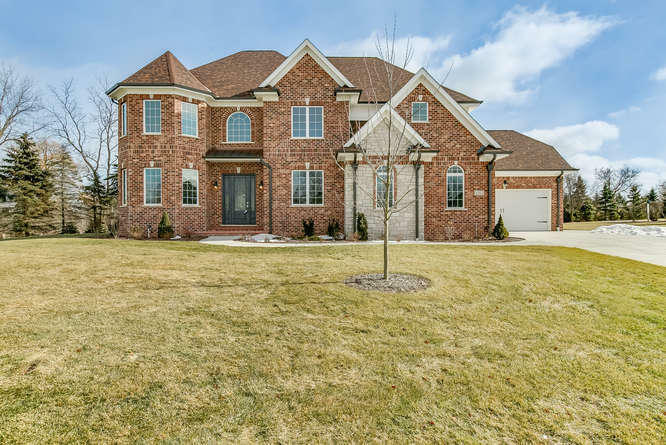 Settle into the best that Oak Forest Estates has to offer with this superior new construction home from RP Construction. Perfect for large scale entertaining or everyday living, this open floor plan features generously sized rooms, an abundance of light & beautiful custom finishes. The cook's kitchen features granite counters, high-end appliances, and a large island w/ seating & generous eating area. Off the kitchen you'll find a two story living room with a beautiful fireplace flanked by built-ins and an impressive curved wall of windows. The amazing & spacious master bedroom includes his/hers separate walk-in closets, double sinks w/vanity, Jacuzzi tub & separate shower. In addition, the 2nd floor offers 3 bdrms each w/en suites, a 21 x 21 loft & full laundry rm.